Despite strong results in overseas markets, investors continue to favor domestic funds, research finds. Stock funds posted their eighth consecutive quarter of positive returns, Lipper analyst says. “Despite the old adage of ‘sell in May and go away,’ investors kept the pedal to the metal in the second quarter, pushing the average equity mutual fund three-month return to 4.04%, with equity funds posting their eighth consecutive quarter of plus-side returns,” explained Tom Roseen, head of research services for Lipper in Denver, in a report released in early July. The second quarter, though, was a bumpy one, as violence in Iraq upset investors and pushed oil and gold prices higher. Still, by the end of June, dovish comments by the Federal Reserve and other factors propelled the S&P 500 to its 22nd record close for the year and the NASDAQ to its strongest finish in 14 years. Equity funds had their eighth consecutive quarter of positive performance, with average returns of 4.04% in the period. Sector equity funds outperformed the group, with a 5.62% gain. Meanwhile, world equity funds rose 4.46%, U.S. diversified equity funds improved 3.42%, and mixed- asset funds ticked up 3.32%. As for the losing groups, dedicated short-bias funds dropped 9.57%, commodities-agriculture funds fell 5.72%, commodities-specialty funds dipped 0.60%, and alternative-equity/ market-neutral funds declined 0.11%. India-region funds topped the equity charts, rising 18.26%. Fund flows in the quarter, though, were negative as investors took about $2.7 billion out of their conventional funds, excluding exchange-traded funds. However, they “padded the coffers” of some fund categories on a net basis, Roseen says, and put $26.6 billion into conventional equity funds, $33 billion in taxable fixed-income funds and $5.4 billion in municipal bond funds. Investors had “a clear preference for developed market funds ($14.0 billion) over emerging market funds ($4.8 billion),” according to Lipper’s latest research. The major net redemptions made by investors were in money market funds (-$67.7 billion). Lipper also notes that all the major U.S. indexes “showed strong Q2 performance.” The NYSE AMEX Price Only Composite improved 8.41%, followed by the NASDAQ Price Only Composite (4.98%), the S&P 500 Price Only Composite (4.69%) and the Dow Jones Industrial Average (2.24%). In Europe, the Xetra DAX index rose 2.90% in the period, while Japan’s Nikkei 225 increased 2.25%. The MSCI Emerging Markets Price Only Index returned 5.64%, with the MSCI India Price Only Index jumping 12.15% in Q2. “Emerging market stocks began to rally in May, helped in part by India’s electing a business-friendly prime minister and after Russia and the Western allies took a step back from the East-West standoff over Ukraine,” Roseen wrote. For the second quarter in three, large-cap funds (+4.44%) “moved to the top of the leaderboard as investors found pockets of opportunity and embraced the quasi-safety net offered by large-cap issues,” he adds. Multi-cap funds improved 4.15% Q2. Value-oriented funds rose 4.04%, outpacing the growth-oriented (2.84%) and core-oriented (3.85%) groups. 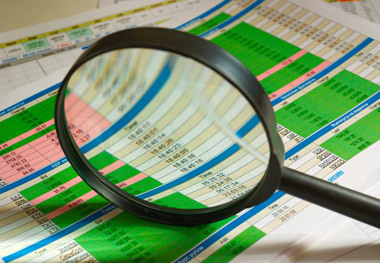 Mid-cap value funds improved 4.63%.